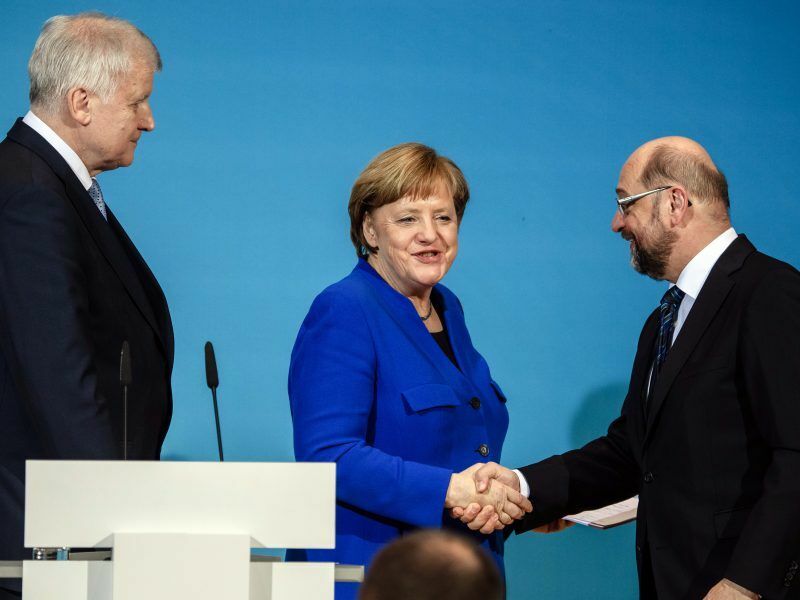 In the draft of the German coalition agreement presented on Wednesday by the potential new German government coalition, the parties want to pursue “a new beginning for Europe” in the next four years. EURACTIV Germany spoke to Matthias Kullas about the European policy aspects of the draft text. Dr. Matthias Kullas is the head of department at the Center for European Politics (cep) in Freiburg, Germany. When opening the coalition agreement, one first reads that it is all about “a new beginning for Europe”. Will the draft do justice to the headline? I think so, yes. The draft agreement is very pro-European. Many suggestions are being considered that can be traced back to Commission President Jean-Claude Juncker. For example, there are clear statements for higher contributions to the EU budget, for a stabilization function and for the support of structural reforms in the Eurozone countries. That is a clear approximation to the Commission’s line. Is there also a rapprochement towards France? Most recently there was much talk of a Franco-German axis, which should jointly promote Euro reforms. How much Macron is in the German coalition agreement? Their coalition agreement has more of Juncker than Macron. For example, the coalition did not take over the call for a eurozone budget. The comments on the European Monetary Fund also correspond more with the Commission’s line than with the proposals of the French President. So, it is more on deepening EU integration than deepening the integration at the level of the monetary union? A major issue in the European debate lately hsa been investment policy. The GroKo [Grand coalition] now wants to extend the European Fund for Strategic Investments (EFSI) and introduce an investment budget. What do you think of this approach? In principle, that makes sense. In many EU countries, there is a problem because the net fixed capital formation is negative. The credit rating suffers massively because of that. A European investment policy could help. However, these investments must be accompanied by structural reforms. Otherwise, there is a risk that they will fizzle out. Here, I am sceptical. 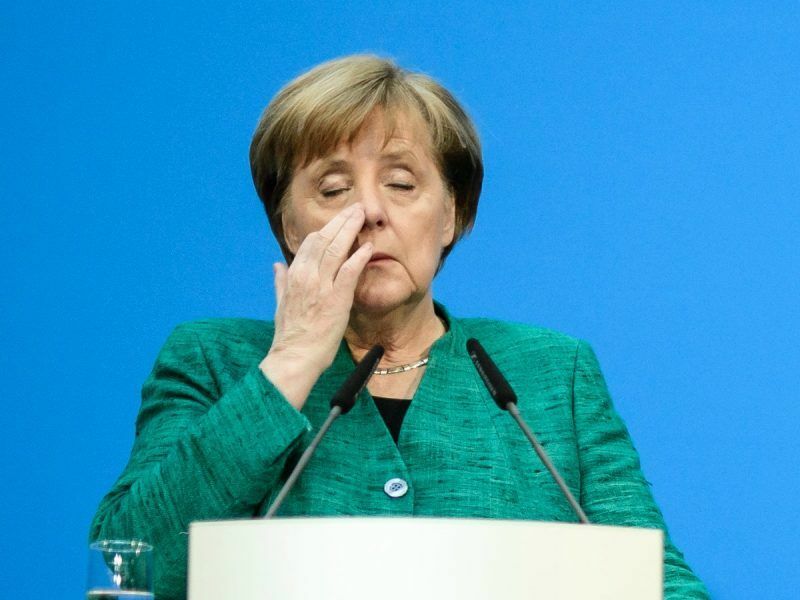 Chancellor Angela Merkel faced criticism from within the ranks of her own conservatives today (8 February) for making concessions to her centre-left Social Democrat (SPD) coalition partners to seal a governing alliance a day earlier. This means you would favour that in return for European investment they have to implement reforms. There already has been an enormous wave of reforms in the wake of the euro rescue policy. Where do you still see the need for action? First of all, I do not share your view for all states that there has been a great wave of reforms. In Italy, for example, reforming zeal has slowed very quickly; there is much that still has to be done, also in respect of tax ethics or flexibilisation of labour markets. In Portugal too, major reforms were not implemented to the extent that would have been necessary. Additionally, here a part of the progress is being reversed by the government, especially as far as the expenditure side is concerned. France is just beginning with reforms. But in fact, some countries, such as Ireland and Spain, have indeed implemented major reform packages. However, you cannot say that for the entire monetary union. Where there is a concrete need for reform cannot be answered on a flat-rate basis. This varies greatly from country to country. We already see the problem of negative net asset investment mentioned above in Italy, Greece and Portugal. Partly private investments are too low, partly the public ones. What can be said in general is that it needs a change in current policies. How credible is it that the German government wants to fight against wage dumping in economically weaker countries? So far, Berlin has mainly focused on economic adaptation to its own economic structure. This is indeed one of many contradictions that can be found in the coalition agreement. On the one hand, we want to increase competitiveness and combat youth unemployment. On the other hand, a European minimum wage and social minimum standards should be introduced. For the weaker countries, with this, it will be more difficult to catch up economically. Apparently, the coalition wants to establish certain social standards in other countries. Of course, there are costs for these countries. 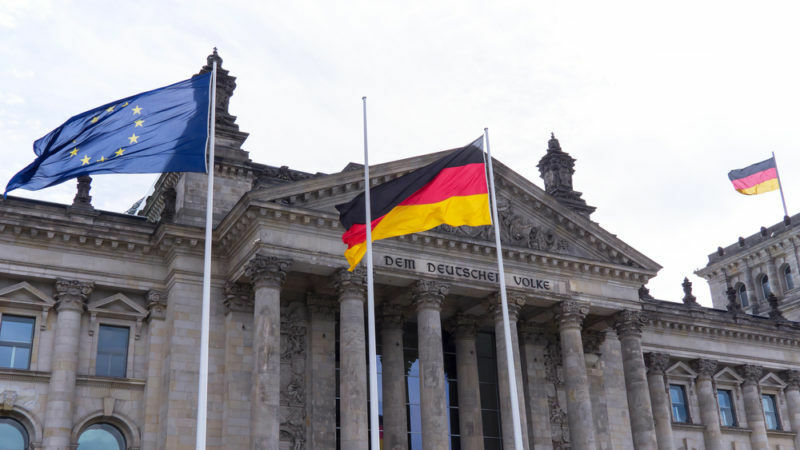 The German government wants to protect the country from foreign competition. This is protectionism. Tax policy also plays an important role in the coalition agreement. The GroKo wants not only a common tax base but a minimum tax rate on corporate tax. The financial transaction tax remains on the agenda, too. Are such measures even enforceable in the EU? One has to wait and see. In general, it is difficult to move forward with tax matters at the EU level because of the unanimity that is required. There are always brakemen. On the other hand, when it comes to corporate taxation, Germany and France could now move forward together. This makes it more difficult for others to permanently jam on the brakes. In this respect, there can be quite some movement. On the other hand, the financial transaction tax is unlikely to be followed by Macron. Then it will hardly be possible for Germany to achieve anything. A thematic leap: According to the intentions of the GroKo, Europe should play a pioneering role in climate protection. How can this work? Here, Europe must be an antipode to the US, where climate protection is being significantly weakened. Therefore, it is good that the coalition agrees to the agreed goals and wants to continue to use the CO2 allowance trading system. I think that a good path has been taken here, and we must now proceed to follow it consequently. Then, contrary to the trend that you see in the US, you are automatically in a pioneering role. Last question: How much is this coalition agreement really worth? Is it primarily addressed to the SPD members who still have to agree to the GroKo, or can we assume that the new coalition will actually handle the measures agreed therein? I strongly believe that the measures will be implemented. It is a contract and both sides should feel sufficiently bound by it. What surprises me is that many conflicting goals are enshrined in this agreement. Take the example of the EU budget: First of all, you want a strong EU budget with European added value. One hundred pages later it says that the agricultural payments should be maintained. However, agricultural payments are the largest expenditure item in the EU budget and do not show any European added value. Apparently, everyone has accommodated his particular interests. A consistent overall strategy is not recognizable. Nonetheless, I assume that this is going to be implemented. Well that’s the kiss of death then….